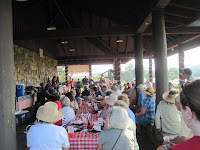 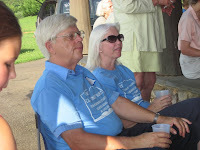 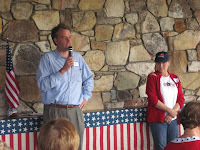 'Love of Country - A Summer Supper' - ACRWL held their July Picnic at the Darden Towe Park on July 10, 2011. Rob Schilling and Joe Thomas were the Masters of Ceremony and gave a wonderful history of de Tocqueville's visit to America, including his observation of American Society. 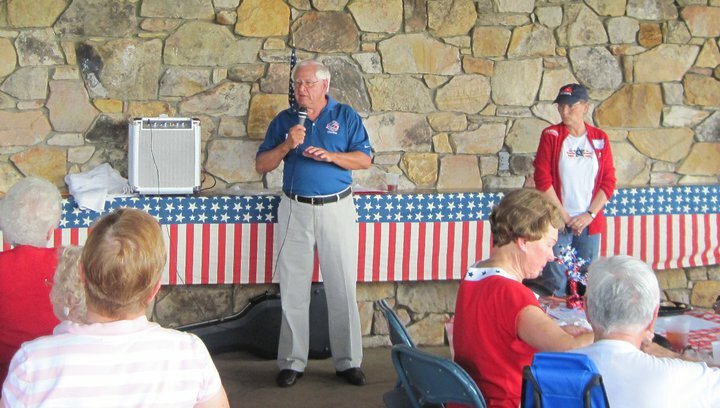 It was de Tocqueville's opinion, in order to sustain our Republic, America needed well educated women, which he felt we had achieved. 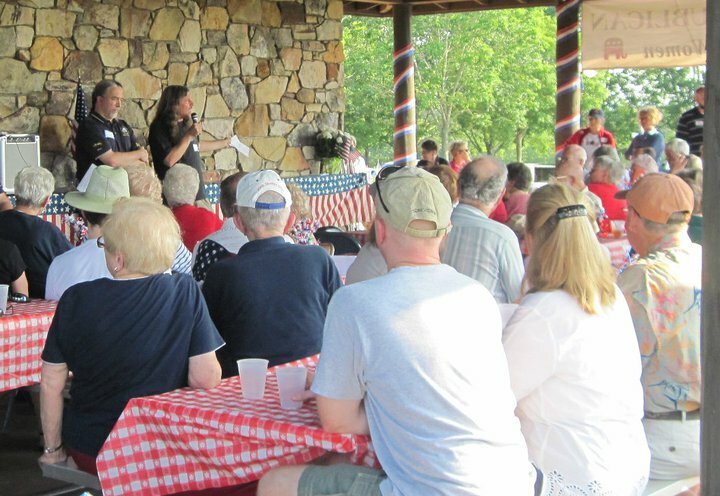 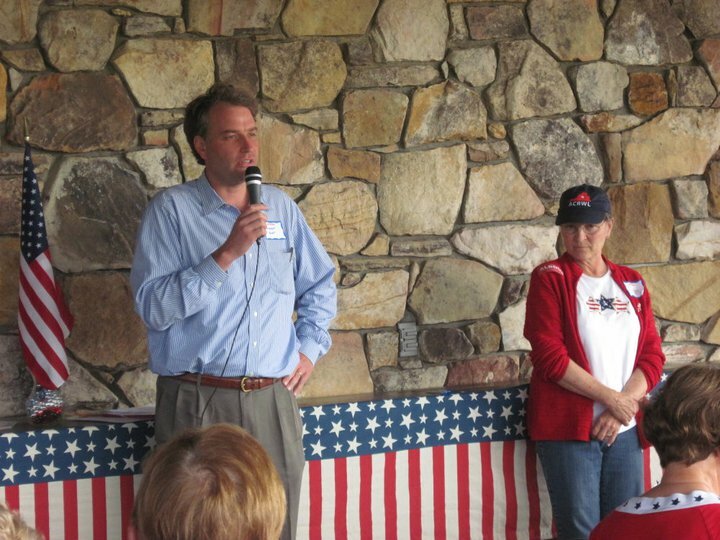 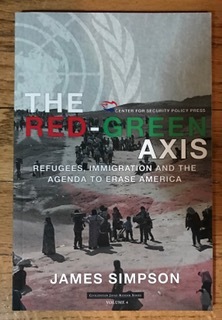 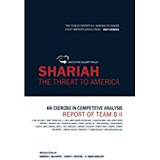 Speakers included: Robert Hurt, 5th District, House of Representatives, Rob Bell, 58th District, Va. House of Delegates, Pat Mullins, Chairman, Virginia Republican Party of Virginia, and Rachel Schoenewald, Chairman, Albemarle County Republican Committee. 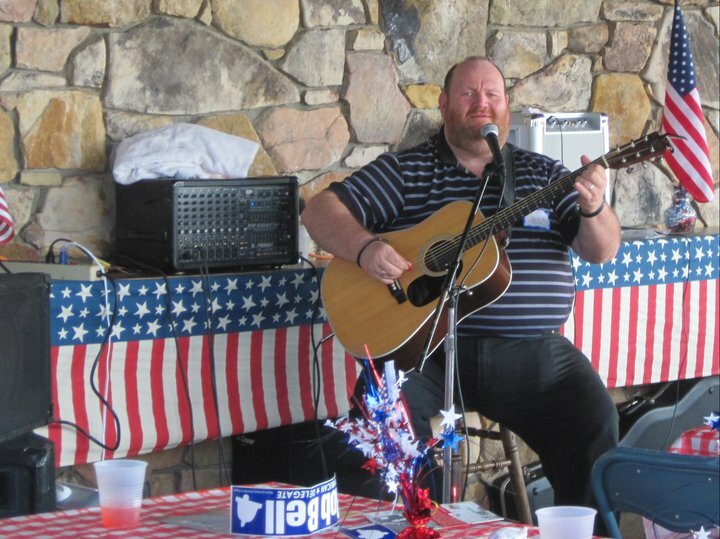 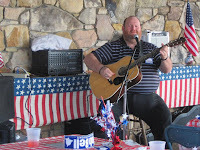 Entertainment was provided by Vinnie Dodd, who played the guitar and sang country and patriotic songs.